We tend to think of songs as snapshots in time, but they’re really more like handwritten letters that we carry around for years, their meaning changing each time we read and re-read them. 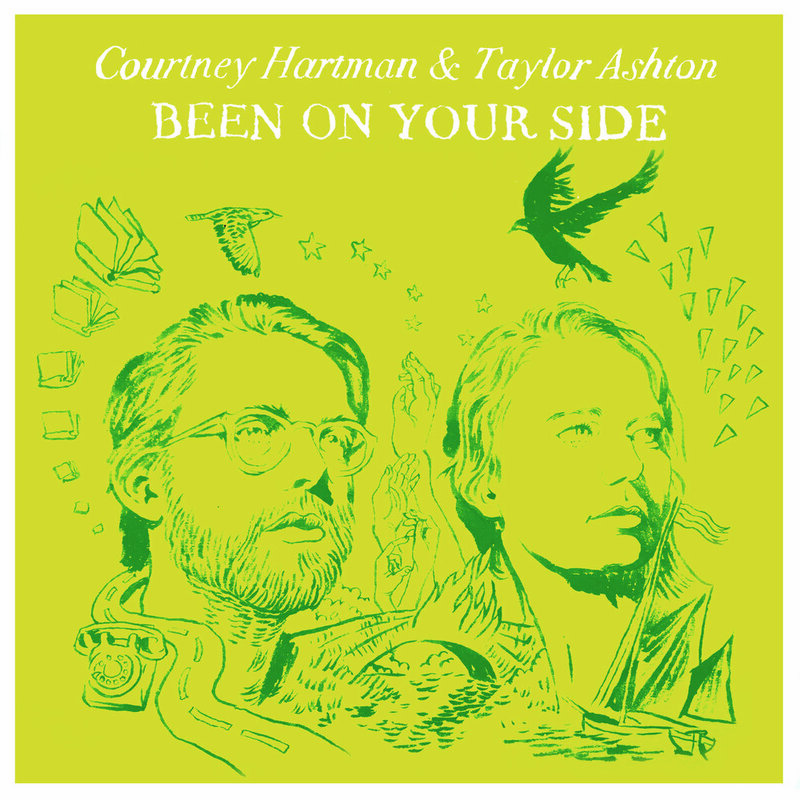 On their quietly stunning debut, Been on Your Side, songwriters Courtney Hartman and Taylor Ashton bring forth songs full of ephemeral charm, created separately and together while living New York City. Each song’s been weathered a bit by time like an old letter, tempered a bit by the honest assessments of a true friendship, and imbued with layers of meaning. “I am fascinated by the life of songs,” Hartman says. “Seeing after they’re written how they continue to change based on your life and what you’re experiencing and what you’ve loved and lost. I guess they’re like frames that you can see life’s seasons or certain relationships through.” Both Hartman and Ashton are known for their instrumental prowess–Hartman as a subtly virtuosic guitarist and Ashton as a deft clawhammer banjo player–but the focus here is on the songs they’ve made and shared together, their rich, entwining vocal harmonies, and their collaborative method of songwriting and arranging. Been on Your Side is a beautifully compelling album of new American roots music coming August 31, 2018 on Free Dirt Records. Taylor Ashton and Courtney Hartman both met in New York City, coming off tours with their bands–Ashton with adventurous Canadian roots ensemble Fish & Bird and Hartman with Grammy-award nominated Della Mae–and both looking to relocate to the city. As Ashton tells it, they met at a secret Julian Lage and Chris Eldridge show. “It was one of those New York moments,” he says, “where you see this incredible music in a tiny place and you’re inspired to make something. You look around for someone to harness that energy with.” What they found was a remarkably productive musical friendship that immediately saw the two of them writing and collaborating on songs. “A writing together process is one of listening,” Hartman says. “You play a new and raw thing for someone with open and objective ears. That’s a gift, you don’t find that in everybody. Sometimes it feels like growing a song together.” As the songs grew, both Hartman and Ashton continued with other projects, and it took a few years before they were able to find the time to sit down and record.